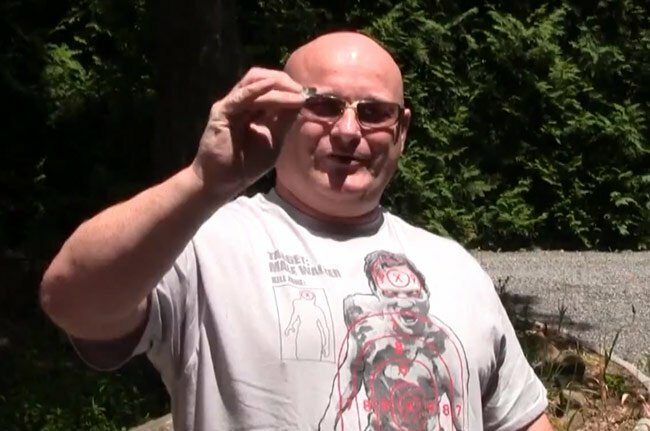 Slingshot master Joerg Sprave has been at it again this week and has created a new slingshot that has been design to fire custom made metal Oreos style projectiles. The new slingshot builds on the design of the Oreo shooting pump gun we features here on Geeky gadgets back in March, but has need to lose the pump action mechanism. Check out the video after the jump to see the new version in action. Joerg Sprave explains a little more about his new lethal creation : “Instead of a soft cookie, we used 45 mm diameter steel washers – in stacks of three. Those weigh over 100 grams, ten times more than the cookies. Of course the weapon had to be enhanced as well – five times more rubber calls for a two handed cocking technique, and a chest plate was needed, too.